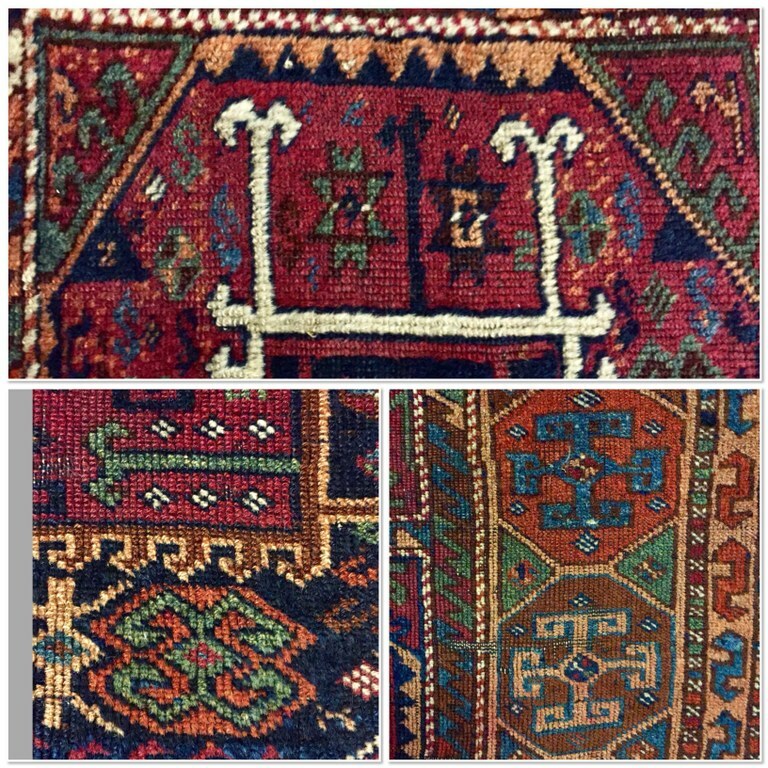 There are many Persian carpets with the ram’s horn motif on it and the symbolism behind it is fertility, power and masculinity. The importance of this symbol comes from millennia ago when the Age of Aries began around 2160BC and brought with it a whole host of new kingdoms and empires, until the Age of Pisces started around 0BC. “The Ram, who is rich with an abundance of wool and, when shorn of this, with a fresh supply, will ever cherish hopes”, writes Manilius in the first century BC.” The Sacred Ram was considered a manifestation of the Sun-god and its creative power; a symbol of the resurrected Sun. Aries heralded the end of the season of death, and was thus also a symbol of fertility, new life and creative energy. 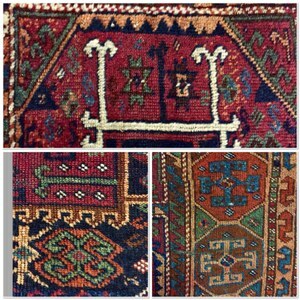 For the ancient civilizations the ram was also a never-ending source of a valuable natural raw material, wool, providing them with a means to create a source of warmth and comfort. Having and caring for these animals was seen as a huge honour and important task. There are various references of the “good shepherd” looking after his “flock” that we still use today. 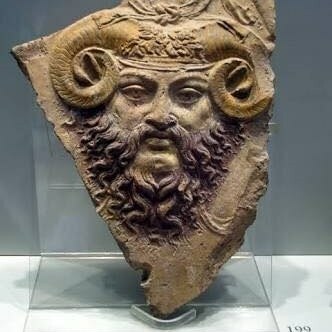 The ram has always been the symbol of the Persian Empire (Achaemenid Dynasty that started in the 6th century BC during the age of Aries) and the kings and army often wore helmets with ram’s horns on. It was not only the Persians who revered this symbolism. The Hebrews’ story happens during the Age of Aries and in the Torah there are many references to the ram. Starting with Abraham receiving a ram as offering in place of his son Isaac, show the transition from the Taurian practices (the age of Taurus preceded Aries) of human sacrifice to animal sacrifices in the age of Aries. Moses rising as leader of the Hebrews and leading them to freedom also occur during the age of Aries. It starts with the Hebrews being instructed by Moses to sacrifice lambs and to smear it’s blood on the door posts ensuring that each household is spared the death of the first born son plague. Later in the desert when Moses returns with the Ten Commandments, he was enraged to see that his people built a golden calf during his absence (returning to the old Taurian religion they learnt and followed in Egypt) instead of following the new path that Moses set out for them. So enraged was Moses that he kept the Hebrews in the desert until the entire “golden calf” generations died out before leading the remainder to the Promised Land. He himself never entered either but he ensured that Judaism as the new faith of the Hebrews would be practised from then on. The image of Moses is often depicted with ram's horns attached to his head. Even to this day, as part of the practices of the Jewish New Year, Rosh Hashanah, the shofar (an ancient musical horn typically made of a ram's horn) is blown in synagogue services on Rosh Hashanah and at the very end of Yom Kippur, and is also blown every weekday morning in the month of Elul running up to Rosh Hashanah. 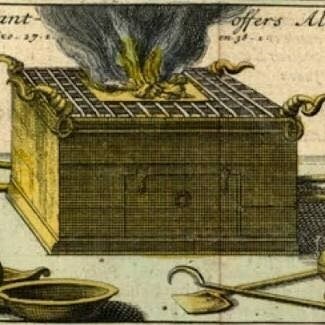 The altar used for sacrifices in the temple of Jerusalem had a ram’s horn on each of the four sides. Aries was also the age of Law. The first set of comprehensive laws was written by Hammurabi, the 18th century BC Babylonian king. Known as the Hammurabi code it was the first set of laws that dealt with prosecuting the offender as well compensation for the victims, as oppose to the Taurian laws that mostly dealt with victim compensation. Four centuries later the Ten Commandments were given to Moses who became the Hebrew Lawgiver and eight centuries on, Cyrus the Great of Persia wrote the first Human Rights charter. Besides the great influences the age of Aries brought to humanity, for the many tribes in Iran and elsewhere their flock of sheep is their wealth. Without them producing carpets, blankets, tents, clothing, milk, cheese and meat would be impossible. Hence providing the best care for their animals is one of the main daily concerns of these tribes. 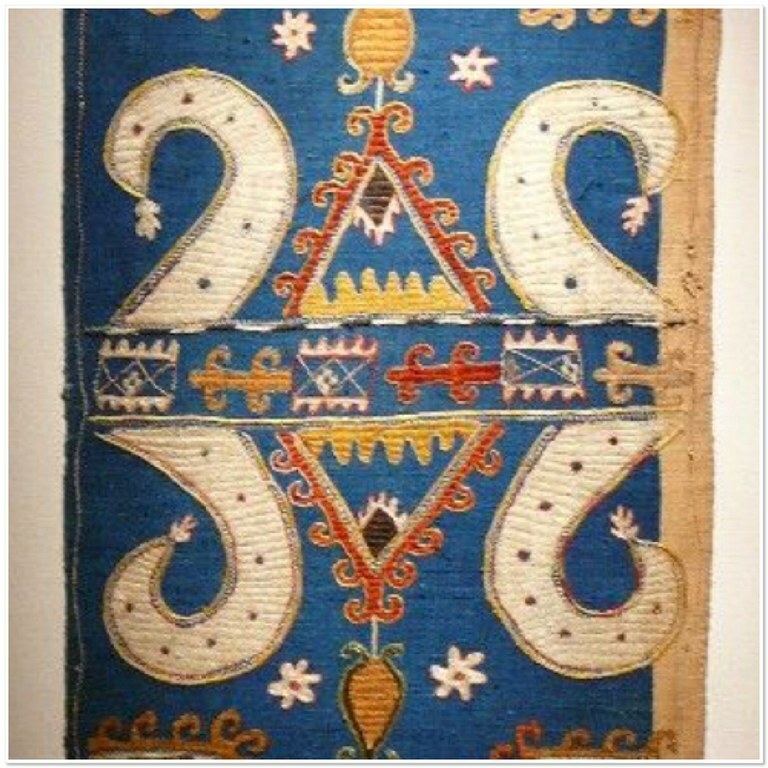 Using the symbol of the ram's horn in their art is a show of the importance of these animals in their lives and their wish for the carpet buyer to experience fertility and great wealth.